Theresa May has ordered a major review of rail franchising in the wake of the East Coast mainline debacle, according to reports. The Financial Times said that No 10 is billing the move as the biggest review of the system since privatisation in the 1990s. The review will examine how to improve the railways without abandoning the use of private operators and will last until well into 2019, the paper said. It added that, according to sources, the move is being driven by transport secretary Chris Grayling but the Treasury is ‘not entirely supportive’. The Department for Transport did not comment directly on the report. 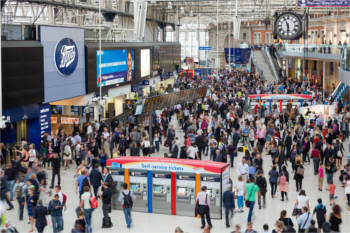 Labour’s shadow transport secretary, Andy McDonald, said: ‘Long suffering rail passengers don’t need a review to explain to them that the franchising system is broken beyond repair. I can tell the Prime Minister now that no amount of tinkering will change the fact that rail franchising has failed, does not deliver and never will. In June, the failed Virgin Trains East Coast rail franchise returned temporarily to government control – the third time in a decade the Government has intervened on the route.